August 21st marks the date of birth of legendary The Clash frontman Joe Strummer, and to commemorate this punk-rock icon, PopMarket.com, Sony Music’s online daily deals site, will offer an exclusive bundle of vinyl editions of The Clash’s masterpiece, London Calling and the previously unreleased Clash concert, Live At Shea Stadium. Digitally remastered from the original production master tapes, London Calling features a 2-LP set with original artwork and all 19 of the original tracks, including the hidden hit 'Train In Vain (Stand By Me)', The Clash’s first U.S. single to chart. It also contains reproductions of the original LP sleeves, including lyrics. One of the few remaining unreleased Clash treasures, Live At Shea Stadium captures the live intensity of The Clash at their powerful best and features the full show restored and remastered. The Clash vinyl bundle will be available on PopMarket.com as a Daily Deal on August 19th. Haste the Day are saying goodbye to the music business with the release of a new live LP and DVD approprietly called 'Haste the Day vs. Haste the Day,' which is set to be released on Sept. 13. The album was recorded live at the all-ages music venue Rhino's in Bloomington, Ind., on June 29, 2010, which also served as the album release show for 'Attack of the Wolf King,' the band's final studio album. The live album will also be accompanied by a DVD, which was also shot at the June 29 event. The camera shoot was coordinated and produced by long-time manager Mark LaFay and later edited by David Brodsky of My Good Eye. The DVD will give fans old and new a chance to see all previous and current members of Haste the Day perform songs from all eras of the band's career. Black Crowes's Rich Robinson has recently announced a October 11th release date of his second solo album, 'Through A Crooked Sun.' 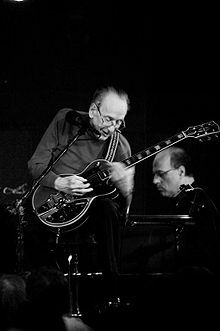 Robinson also produced the album and guests include Warren Haynes and Larry Campbell. The album will be released via Circle Sound/Thirty Tigers. "The most exciting thing for me in doing my own album is that a lot of the things that I want to express lyrically, which are very personal, may not have space to be expressed in the band format," says Rich. Thanks to streaming services and file sharing, there's little incentive to purchase music anymore. Everybody knows CD sales have been falling for years, but as soon as the record labels stop making CDs, their value will skyrocket. Arctic Monkeys' new single will no longer be shipped to stores because rioters set fire to a stock warehouse in London on Monday. The British rock and roll vets were planning to release 'The Hellcat Spangled Shalalala' next Monday, however their CD inventory was destroyed when the Sony Dadc distribution warehouse was torched by idiots. As a result, only a limited number of vinyl copies will be made available to fans on the band's website, while the song will also be sold digitally online. A spokesperson for Arctic Monkey's label, Domino Records, says, "While relieved that no one was injured in the incident, we're upset about the loss and destruction of our stock, and thinking of our friends at other independent labels who were also affected by the fire." Is this a joke? It could be. Mayhem bassist Necrobutcher –Jorn Stubberud on legal documents-will be exorcised. He will submit to a filmed exorcism at the hands of Bob Larson, the famed TV and radio evangelist. Is Necrobutcher doing this as part of a PR stunt to prove that exorcisms aren't real or to expose religious fundamentalists? Massachusetts rockers STAIND will release their self-titled seventh album on September 13 via Atlantic Records (one day earlier internationally through Roadrunner). Produced by Johnny K – known for his work with 3 DOORS DOWN, DISTURBED, and SEVENDUST, not to mention his Grammy Award-nominated collaboration with STAIND, 2008's "The Illusion Of Progress" — and mixed by the legendary Chris Lord-Alge, the CD stands as STAIND's most intense and powerful work to date. The album is heralded by the new song, "Eyes Wide Open", as well as "Not Again", the first official single from "Staind". "I would like all my friends, followers, fans and fellow travelers to know that I am fighting cancer and will therefore be taking a break from performing while getting the treatment and cure. I shall of course be continuing to write music – in my world it just has to be part of the therapy – and I fully expect to be back in good shape next year. "God bless and see you soon, Jon." Lord's webmaster added: "May we also, at Jon’s request, ask if everyone could please respect his need for privacy so that he can spend time with his family (and his music). Thank you." On his doctor's orders, Gregg Allman has cancelled all of his tour dates through September 14th. Eternal Image, Inc., a public company engaged in the design, manufacturing and marketing of officially licensed, brand-name memorial products, today announced that the first of its official KISS cremation urns is now available for purchase. 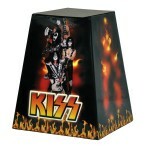 We call this particular KISS urn our 'Monument' model," said Donna Shatter, VP of operations for the company. "This urn offers fans a unique expression of their passion for the legendary rock band. It features full-color images of the band members and the KISS flame logo — all displayed against a striking black metallic finish." 5. Radiohead - Morning Mr. Magpie remix 12"
10. The Features - Rambo 7"
Born on this day in 1909, Leo Fender, inventor of the Telecaster and Stratocaster guitars. He died on March 21, 1991. Jimmy Ray Dean was born today in 1928 (died June 13, 2010). Best known for his song "Big Bad John," which spent five weeks at number one on the pop chart, two weeks on the country chart, and ten weeks on the Easy Listening chart. It was also a number-two hit in the United Kingdom. The song received a Grammy nomination for Record of the Year, while Dean's performance of the song earned him a nomination for Best Male Solo Vocal Performance. Born on this day in 1940, Bobby Hatfield, singer, The Righteous Brothers, (1965 UK & US #1 single "You've Lost That Lovin' Feelin"). He died on November 5, 2003. In 1955, two weeks after it cracked the R&B Top Ten, Chuck Berry's "Maybellene" enters the Pop chart at #23. It will peak at #5 and is now considered one of the pioneering rock and roll singles. Also in 1955, due to the large number of pop hits which are remakes of R&B hits, Savoy Records announced that those wanting to record cover versions of songs must obtain permission from the US copyright office. In 1959, four members of The Platters were arrested after a gig in Cincinnati after being found with four 19 year old women, (3 of them white), in various stages of undress. The scandal resulted in radio stations across the US removing Platters records from their playlists. In 1959, Brenda Lee recorded "Sweet Nothin's", which will prove to be her breakthrough hit and launched her Hall Of Fame career. In 1963, 13 year-old Little Stevie Wonder started a three week run at #1 on the US singles chart with 'Fingertips part II', making him the youngest singer to top the charts. In 1964, the Kinks reach the UK charts for the first time with "You Really Got Me." The song will top the British list a month later and climb to #7 in the US. In 1965, the Beatles' second film, Help! opened in New York, two weeks after its London premiere. Also in 1965, the Jefferson Airplane made their stage debut at the Matrix Club in San Francisco. Before the year is out, they'll become the first San Francisco Rock group to sign a major recording contract. In 1966, two days after John Lennon's apology for saying the Beatles were more popular than Jesus Christ, radio station KLUE in Longview, Texas organizes a Beatles Bonfire, where the group's records and memorabilia were destroyed. The next morning, the station's transmission tower is struck by lightning, halting all broadcasting. "Summer In The City" by The Lovin' Spoonful hit the topped of the Billboard singles chart in 1966. The song started out as a poem written by John Sebastian's brother, Mark, before the band changed some words and then set it to music. The record reached #8 in the UK. The ultimate 'summer' song! Also in 1966, a recording engineer named Jerry Samuels, who billed himself as Napoleon XIV, reached #3 on the Billboard Pop chart with a novelty song called "They're Coming to Take me Away, Ha-Haaa!" The song's short five week stay on the Hot 100 was blamed on the fact that many US radio stations stopped playing the record because it seemed to make fun of the insane. In 1967, the Daughters of the American Revolution refused to allow Joan Baez to perform at Constitution Hall in Washington D.C. because of her opposition to the Vietnam War. 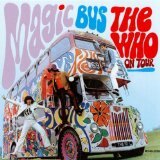 The Who's "Magic Bus" was released in 1968. In 1969, the Guess Who record "American Woman", which will become a Top Ten hit in the US, Canada, Switzerland and the Netherlands. The same week, they receive their first American Gold record for "These Eyes". In 1971, John Lennon flew from Heathrow Airport to New York. He would never set foot on British soil again. In 1972, Paul and Linda McCartney were arrested for possession of cannabis in a drugs bust after a concert in Gothenburg, Sweden. Paul was fined $1,000 and Linda $200. Roberta Flack went to #1 on the US singles chart in 1974 with "Feel Like Makin' Love," the singers third #1 single. In 1976, Elton John played the first of ten nights sold out nights at Madison Sq. Gardens in New York City. The $1.25 million generated from the shows broke the record set by The Rolling Stones in 1975. In 1977, Bachman-Turner Overdrive, whose hits included "Takin' Care Of Business" and "You Ain't Seen Nothin' Yet", announced that they are splitting up. In 1980, Todd Rundgren, best remembered for his 1978 hit, "Hello, It's Me", was held hostage while his house is robbed by four masked men. Rundgren, his girlfriend and three houseguests were bound and gagged during the theft. It was reported that one of the intruders had been humming Todd's hit "I Saw The Light" during the robbery. In 1985, Madonna's 'Like A Virgin' became the first album by a female to be certified for 5 million sales. Also in 1985, "Money for Nothing" by Dire Straits peaked at #4 on the UK singles chart. Notable for its groundbreaking music video and a cameo appearance by Sting singing the song's falsetto introduction and backing chorus, "I want my MTV," who also co-wrote the song with Mark Knopfler. The video was also the first to be aired on MTV Europe when the network started on August 1, 1987. In 1990, Curtis Mayfield, best known for his early 1970s hits, "Freddie's Dead" and "Superfly", was left paralyzed from the neck down after a stage lighting structure fell on him during an outdoor concert in Brooklyn. Mayfield passed away on December 26, 1999. In 2008, singer-songwriter Isaac Hayes died at his home in Memphis, Tennessee, at the age of 65. Police were called to his home after his wife found him unconscious. He was taken to hospital where he was pronounced dead. Hayes won an Oscar for the 1971 hit "Theme From Shaft" as was also known as the voice of Chef from the hit cartoon show, South Park. He was married four times and had 12 children.